James Henry Digby Watson was born in Southsea, Hampshire, and named after his father, who was a Royal Navy engineering officer. His mother Eliza was Canadian. He was sent to King’s School, Canterbury at the age of eight, and thence on to Edinburgh Academy, where he quickly gained the nickname “Bungy”, by asking for a rubber in the usual slang of King’s which was unknown in Edinburgh. From 1908 he studied medicine and surgery at Edinburgh University, graduating in 1913. At the outbreak of war he joined the Royal Navy as a temporary surgeon. 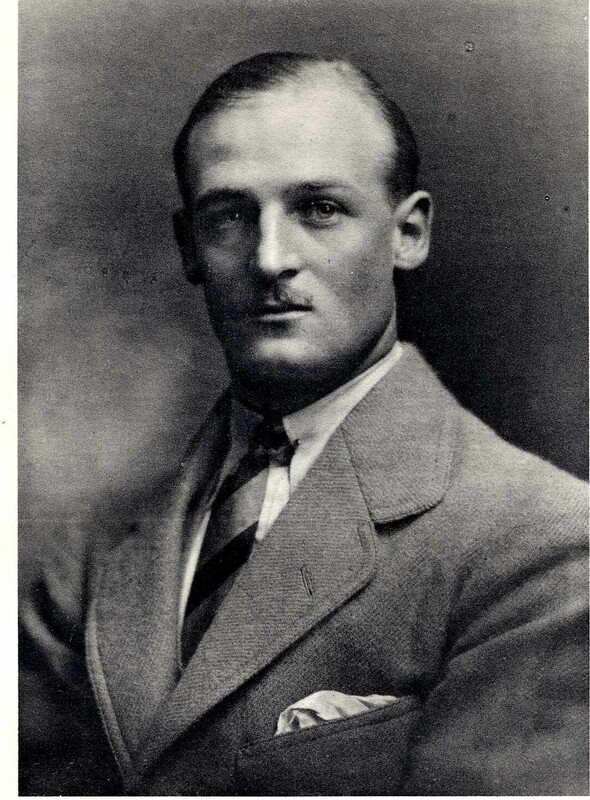 Watson was an accomplished sportsman, being High Jump champion at Edinburgh Academy, Middleweight boxing champion at Edinburgh University, representing the University at cricket and Scotland at Long Jump. On the rugby field he captained Edinburgh Academicals in 1912-13, toured Wales with the Barbarians, and was once chosen as reserve for the Scottish national team. 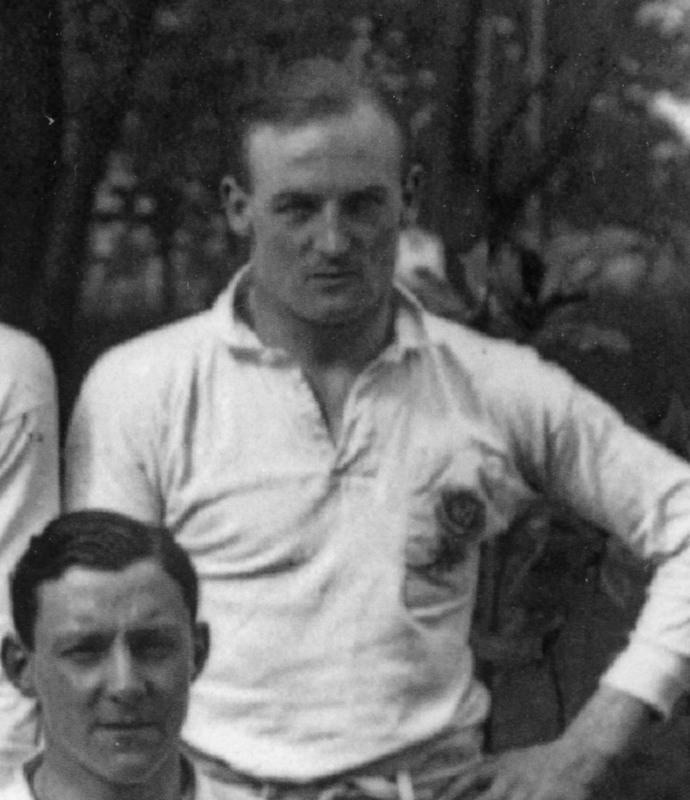 Coming south he played for London Hospital and Blackheath, and in 1914 played three times for England in the second of their successive Grand Slam seasons, missing only the game against Ireland because of injury. In the final game against France in Paris, Watson scored his only international try. When the war came he was posted to an old, almost obsolete, armoured cruiser, HMS Hawke. She was being used largely as a training ship for cadets and reservists, but on 1 October 1914 was sent on patrol with her sister ship, HMS Theseus, in the North Sea some sixty miles from Aberdeen. The ships were slow, and had no destroyer screen against the U Boats. The U9, which had earlier sunk the cruisers Aboukir, Hogue and Crecy, attacked the two ships, missing the Theseus, but hitting HMS Hawke and igniting her magazine. HMS Hawke sank in only eight minutes with the loss of 525 men. HMS Theseus was under strict Admiralty orders not to attempt to pick up survivors. Watson was 24 years old. Surgeon James Henry Digby Watson died at sea. He has no known grave. The World Rugby Museum would like to thank Mike Hagger for researching and writing this article. For details of the other 26 fallen England players click here. This entry was posted in England, International Players, Lest We Forget. Bookmark the permalink.